This is really great news, everyone! If you read Cobra’s commentary, this may end up providing a template for future mass meditations. I unfortunately was not as responsive as I’d hoped to be this morning, so I only posted the second update near the end of the most critical period. Nonetheless, I strive to be more timely in these matters while also seeking to be as non-invasive as possible. Hence, if readers out there have ideas how to increase the amount of people we can reach in as short a time as possible, please provide them to me at my email [email protected]. I will be contacting Cobra as well to see if he has any specific thoughts as to how to make this an even more dynamic process. 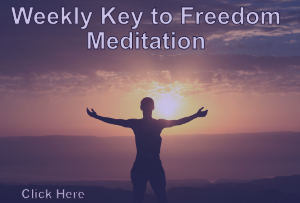 You have to consider the meditation from a metaphysical point of view, and you have to have your own entrainment in this domain in order to understand and to answer yourself. Until then you will not get an answer, sadly. From a mundane point of view, the answer is: no! there is not any proof. how can we know that it’s because the effects of meditation is real ? is there any proof that meditation is real ? You have now the proof too! The meditation has delayed the violence 1 or 2 days. You may now be at peace about the proof! So, learn to meditate and may you participate in the next one.